SANPETE COUNTY, Utah January 25, 2017 – The Office of the Utah Attorney General and the Sanpete County Attorney’s Office today announced the guilty plea and sentence of Logan Welles McFarland for the two charges of aggravated murder in relation to the December 30, 2011, robbery and murder of Leroy and Dorotha Ann Fullwood in their Mt. Pleasant home. McFarland pleaded guilty to two counts of first-degree aggravated murder. For each count, Judge Marvin D. Bagley of the Sixth District Court sentenced McFarland to life without parole with the sentences to run consecutively. Late on the evening of December 29, 2011, McFarland was in Mt. Pleasant with a plan to commit robbery to get money for drugs. He had already stolen items from one home in Mt. Pleasant the day before and decided to come back a second time. McFarland was dropped off, armed with a .22 magnum caliber gun, at a church parking lot near the Fullwood home. Removing a screen, McFarland entered the house through an unlocked window leading to a bedroom inside the Fullwood residence. Once inside, McFarland shot the Fullwoods multiple times, killing both. The morning after the robbery and murders, McFarland visited his brother at his trailer in Moroni where he told his brother he had “dispatched lives in Sanpete County” and that a “mission had gone south.” McFarland also told his brother he was leaving the area and wanted to say goodbye. McFarland fled to Nevada and was eventually apprehended and arrested in the Nevada desert. Prosecuted by the Sanpete County Attorney’s Office and Utah Attorney General’s Office, the prosecution included Sanpete County Attorney Brody Keisel and Deputy County Attorney Kevin Daniels; Utah Attorney General’s Office Division Director Greg Ferbrache, Criminal Deputy Craig Barlow, Special Prosecutions Director Janise Macanas, and Special Prosecutions Paralegal Rosie McDonough. 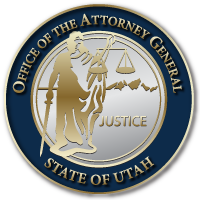 The case was investigated in cooperation with multiple Sanpete jurisdictions, including the Sanpete Sheriff’s Office, and a special thanks are extended to Nevada for cooperation in the case. This entry was posted in Archived Posts, Recent Posts and tagged Logan Welles McFarland on June 27, 2018 .